When you’re transitioning from a processed food diet to a gluten free diet, it doesn’t have to be about limitations. In fact it can lead to many delicious menu options, you just need to keep an open mind. We understand many people can have those days where comfort food is just needed. However, most comfort food recipes are heavy in carbohydrates and contain wheat. So the solution is to always ask yourself – what can I swap this for? There is always an alternative for everything. Remember to exercise ‘portion control’ though. 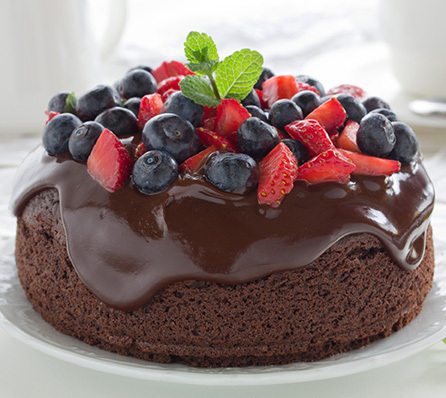 Below we’ve listed some healthy sweet and savoury gluten free comfort foods for you to enjoy. Caramel slice is most people’s favourite, so treat yourself, and enjoy a raw, organic, real food version. We have two recipes for you – Inca Inchi Caramel Slice and Caramel Chocolate Fudge Squares. Both equally divine, you deserve them. This apple crumble is perfect with cream or custard, and is a comfort, warming, soothing and decadent dessert that you, your family and friends are guaranteed to enjoy! These pancakes are super simple to make and delicious to eat. They will be a guaranteed favourite in your household too. 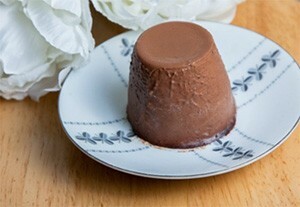 This is a decadent creamy dessert that you’ll be surprised how simple it is to make. 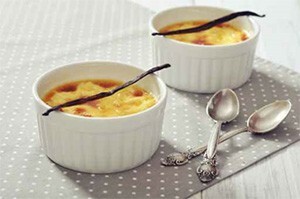 This is a simple, creamy, delicious dessert on its own or as the perfect custard to accompany apple crumble. 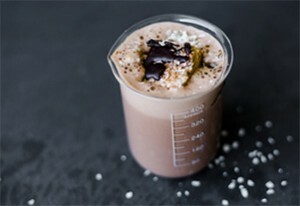 Looking for a healthy alternative to those processed pre-made powder hot chocolate mixes? Then you will love this coconut hot chocolate with cinnamon marshmallows, it’s such a treat! It’s completely made from wholefoods and is absolutely delicious! A divine Cauliflower pizza crust that you can top with your favourite flavours, such as pure 100% tomato paste, your choice of vegetables and meat. Sprinkle with cheese, or if you are dairy free, then drizzle with mayonnaise before cooking, or cashew cheese after cooking. This is the perfect snack or a side to a main dish. 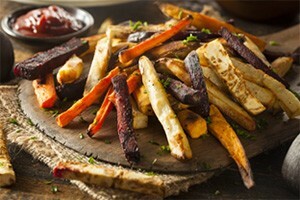 It’s simple to replace the toxins from genetically modified hydrogenated vegetable oils, flour and refined salt that are covered in ‘processed chips’ and sauce with a homemade version of hot chips, tomato sauce or gravy. You might even like to make some hot crispy cheesy potato chips. Do you have a weakness for cheese and crackers? You don’t need to entirely give up this beautiful experience. These easy sunflower seed crackers served with an array of homemade dips such as cashew cheese, pesto or beetroot humus or pate are incredible. If you can tolerate dairy, than choose cheese that doesn’t contain preservatives or additives. An even better alternative is to eat raw, European traditionally made cheese. 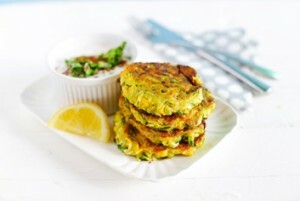 Fritters are another simple savoury dish to make and are perfect to experiment by adding left over vegetables and meat into the mix. Everybody loves Tacos and Nachos don’t they? So throw out the packaged and take away varieties which are full of additives and preservatives and replace them with a version that’s made from REAL food ingredients. You can also experiment with different toppings and base ingredients to suit your taste preference. 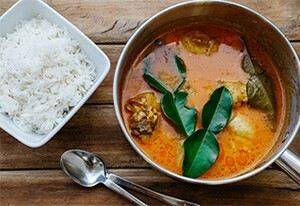 If you love things spicy then you will love this anti-inflammatory chicken red curry. Delicious! Making your own sushi is easy! And the best thing is you know exactly what the ingredients are and you can experiment with different fillings and flavours to find one you love! 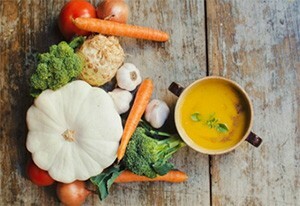 With these options, you can still nourish your soul without eating highly processed gluten comfort foods. If you have other favourite comfort food alternatives that you love, comment below and share them with others! Photos look wonderful, but cannot read any of the text against the background. Delish…cant wait to try! Thank you! I was really looking forward to a good tortilla or wrap recipe…but there doesn’t seem to be a link. Hi Susan, unfortunately we do not have a recipe at present for this, however I use wombok cabbage leaves and they work a treat. I used to also make wraps out of eggs, coconut flour and tapioca flour, which there may be a recipe online for this or it may take some experimenting for what works for you. Just wanted to say thank you so much for all the wonderful ideas and recipes. Very much Appreciated. The link to the pancake recipe doesn’t seem to be working and I would really love it please. Thank you for your feedback. There was a little gremlin in that link but is now working! 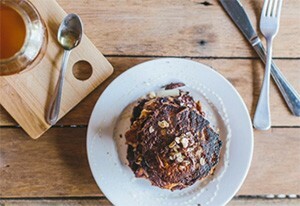 Here is the direct link for the Chocolate Pancakes – https:/changinghabits.com.au/recipes/gf-chocolate-quinoa-pancakes/. We hope you enjoy them! I bookmarked some recipes because I just found out about a lot of food sensitivities. Will learn to change my eating habits as soon as I have finished eating all the not desirable items in my kitchen/fridge/pantry. Your recipes will be most welcome. Hi Fae. If you just click on the highlighted text or photos, you will be directed to the recipe link. One thing my husband and I miss is Dim Sum. Also, what is ancient wheat or ancient grain?